Baltimore County police have been forced to arrest one of their own for the second time this summer as a 31 year-old officer now faces serious felony charges. Our regular Blog readers might remember an article published less than 6 weeks ago about a county cadet who was arrested for stealing evidence from police headquarters in Towson. That ex officer’s case is still in its infancy stages after recently being forwarded to the circuit court, and already another soon to be ex cop is about to appear on the criminal docket as a defendant. Both cases are drug related, but the allegations extend far beyond simple use or possession. This latest embarrassing arrest began as a routine report of an attempted burglary, which turned out to be much more scandalous. Last week a man called 911 and reported that someone claiming to be a police officer was trying to break into his home by kicking in the door. While the burglar was not able to gain entry to the house, the man got a good enough look to give police a description of the burglar’s appearance. Later that night police located the burglar after making a traffic stop on a speeding vehicle. It all seemed routine enough until the details were uncovered in the days that followed. It turned out that the man who called police to report the burglary was actually an alleged drug dealer. And the burglar claiming to be a cop was not only an actual police officer, but was also a customer of the alleged dealer. According to his own admissions, the officer became addicted to oxycodone after an on the job injury. When his prescriptions ran out he had to seek another source of pills to satisfy his addiction. On the night in question the officer went to the alleged dealer’s house with a friend, and the friend purchased painkillers for the officer. Apparently though, the officer didn’t get what wanted, so he went back to try to purchase more drugs just an hour later. For whatever reason the dealer was not willing or able to comply, and there are two accounts of what happened next. According to the dealer, the officer / customer actually gained entry into the apartment, got a hold of some drugs, and then fled out the back window. According to the officer’s statement he went to the dealers house to try to convince the dealer to hand over his “stash” of drugs for his own best interests. The officer stated he merely knocked, kicked the door once, and then left. It is not disputed that soon after the incident the officer produced his badge and identified himself as a cop during the subsequent traffic stop. As is often the case with incidents where both parties have done something wrong, the truth is probably somewhere in between the dealer and officer’s stories. Regardless of what actually happened, it is extremely troubling for the Baltimore County police to have an actively employed officer who engages in that sort of activity. Drug addiction clearly played a role in whatever transpired, but that does not absolve anyone of responsibility. The alleged dealer has not been charged with a crime as of yet, but the officer and his friend have both been charged. The officer faces four criminal charges including drug possession, attempted first-degree burglary, robbery, and malicious destruction of property. The Blog will follow the progress of this case, and may post a follow up article if necessary. 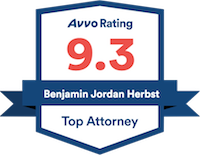 Benjamin Herbst is a Maryland robbery and burglary lawyer who handles criminal cases throughout the state. Contact Benjamin to speak about your case at any time. Off-duty officer tries to break into home in search of drugs, police say, baltimoresun.com.